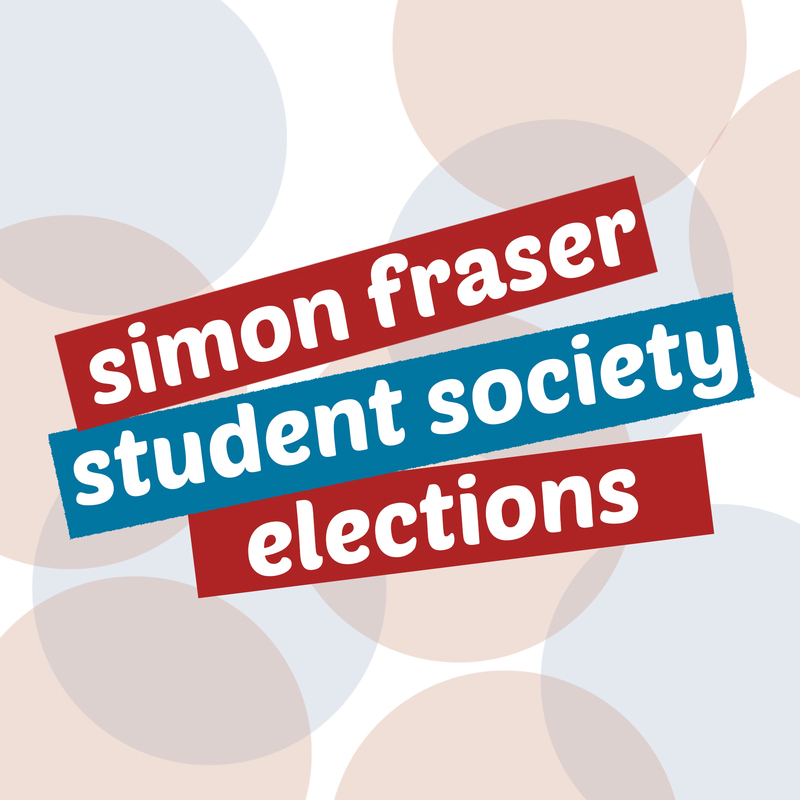 The Simon Fraser Student Society (SFSS) elections are upon us once again. 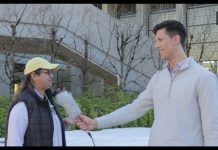 The Peak is here to break down candidate platforms and debates so you can make an informed decision come voting period, which will take place online between March 19 and March 21 through SFU Mail. To kick off our election coverage, we reached out to each of the 35 candidates with questions about their stances on the positions they’re running for and the current issues that have been affecting them. Below are descriptions of the positions and the candidate responses. Note: Candidate responses are unedited and do not reflect the perspectives of The Peak Publications Society. Note: Candidates were given a limit of 100 words for each response. Any responses that ran longer than the limit were cut short. Note: Candidates were given a strict deadline of submitting their answers to us by March 8 at noon. Those who failed to do so did not have their responses included to ensure fairness to the other candidates who were able to meet our request. The SFSS is SFU’s student-led society, representing the entire undergraduate population of the university. 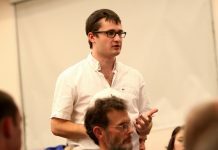 The SFSS is headed by 16 Board of Directors members, which are elected every spring by the student body to hold a one-year term during which they manage day-to-day society work, manage large-scale finances, execute university-wide campaigns and projects, and advocate for student interests regarding issues such as the U-Pass, student-centric spaces, and food and beverage services. The president leads the Board of Directors. 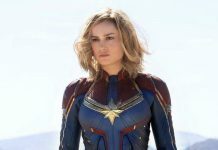 In this position, they are responsible for convening the Board, Board Executive Committee, and Council, meeting with university representatives, communicating on behalf of the Board of Directors, and liaising between Board and Board employees amid other duties. What are the three main areas that you hope to focus on during your term? What will you do that your predecessor specifically did not do? What leadership experience do you have that enables you to take on this position? Universities and Government are Prioritizing Profits over Students. I would like to bring Student Activism back into the student societies to organize across BC. Secondly, I want to fix relationships with stakeholders and SFSS Staff where over 20 employees have left the SFSS since 2015 due to a toxic work environment. Fixing burnt relationships with student groups, especially those at risk of eviction is a top priority. Lastly, to create a Student Advocate Office who will fight for students on problematic University policies and decisions. This will also be a mobilization engine for campaigns, to fight for students’ interests. Both SFSS Presidents this year have not done the work required to actually rebuild relationships and solidarity with groups across campus. I will mend these so we can build capacity to ‘represent’ the 26,000 students. They have also lacked the inspirational factor needed and have been found hesitant on key big issues around campus. I have a proven ability to bring various groups of people together to push important issues and mend hurt relationships. If elected, I’ll ensure that the New Executive Director put relationships and solidarity amongst students first, putting petty politics aside. My predecessors failed this. I have the capacity to organize and build solidarity with various groups of people and have the emotional intelligence to focus on building relationships. For the last two years, I have been the President of SFU Students of Caribbean and African Ancestry (SOCA), the black community resource center on campus. The challenges faced over the past year have immensely enabled me to increase my leadership and advocacy capabilities. I am also one of the co-organizers of the Tuition Freeze Now Campaign to push back against the proposed Tuition Increases that includes up to 20% for some students. My main focus will be on giving back to the students. Currently, the SFSS operates in an extremely closed off manner. You can only provide feedback or get benefit if you’re involved or have friends that are involved. I plan on empowering groups, i.e. clubs and DSUs, who directly affect students and build a community for students. To be able to create real change, I’m planning to do bylaw reforms and build guidelines for groups, as we currently have none. I am also going to put a major focus on consultation, something the SFSS has been severely lacking in [. . .]. Be realistic in my promises and transparent to students. My campaign promises aren’t just a bunch of unrealistic buzzwords meant for votes. Bylaw reform is a project I have been working on extensively. Empowering student groups can be accomplished through the writing of proper guidelines and streamlining processes (ie. grant applications). In regards to the consultation initiative I will implement, I have already ran some sessions and received very positive feedback. I am also active on social media and not afraid to reply to stuff publicly, regardless of whether it’s to provide information or respond to feedback regarding the Board. I have been immensely involved with clubs and student societies, being on the executive teams of the Computing Science Student Society and Peak Frequency. I was also Council chair for a year and have been the Applied Sciences Representative this past year. Through these experiences, I understand the struggles clubs and student unions face, since I faced the same struggles myself. I have also witnessed firsthand how much politicization there is within the SFSS. As leaders we should be rising above the attacks and pettiness, something my experience working for students at every level of the SFSS lets me do. If elected, the three main areas that I would like to focus on are: Rebuilding Relationships, Improving Communication with our Membership, and Enhancing our Services and Projects. Working with important stakeholders, and creating a plan of action, will be my goal to mend relationships. By using utilizing the SFSS communication channels, I want to develop a plan on how to provide more clarity, and accessibility to our membership. 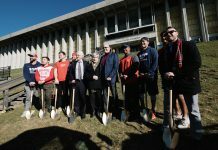 With the new Student Union Building opening, and an incoming Executive Director, this will assist in restructuring and rebranding our services, which will strengthen the value they have, and support our staff. What I plan to do that my predecessor specifically didn’t do is foster a positive, motivated working environment for the Board of Directors. How I define being a successful president at the SFSS is being there for your board, and ensuring that they feel supported. Under the previously impeached president’s leadership, I have seen first hand the impact of an unsuccessful presidency. 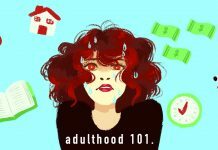 I know for myself, it took a toll on me, and my job lacked direction. If any board member working with me experiences that, that means I’m not doing my job effectively. The most recent leadership experience I have that enables me to take on this position is my role as FCAT rep on the Board of Directors, and being Vancouver Campus Committee Chair. I do my job successfully by creating collaborative working environments with board members, and students from different backgrounds. When working with others, I set goals, and form myself as a support system for everyone. Also, I have been on organizing committees for both the Communication Student Union and Young Women in Business. I took lead in these groups by developing strategic plans and being held accountable for projects. 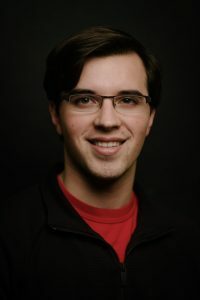 The vice-president external relations is involved in the university’s relations with other post-secondary institutions. 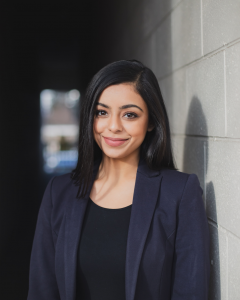 The position is responsible for representing SFU at conferences held by external organizations, as well as keeping the Board informed on relevant actions of these organizations. 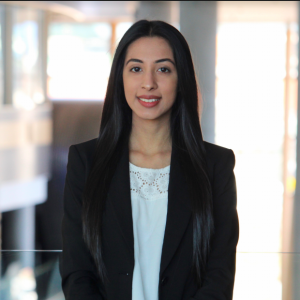 The VP external also leads the Advocacy Committee, which is involved in advocacy initiatives on behalf of students. What is your current experience in working with external organizations/societies that enables you to take on this position? What initiative or project in this position do you value the most and why? I am seeking re-election for VP External Relations and hoping to build on the initiatives I have been pursuing this past term. The SFSS has had a difficult year, however, it was my priority to ensure the External Relations portfolio did not suffer during this time. With support from staff and volunteers, I successfully reorganized the internal procedures supporting my role, and strengthened our ties with student union across the province. I have had the pleasure of working alongside AMS, BCFS, ABCS and UVSS, and creating effective lobbying coalitions that get us results at different levels of government. One initiative that I hope to pursue if re-elected is engaging in a thorough review of GP-44 (SFU’s Sexual Violence and Misconduct Prevention, Education and Support Policy). Unfortunately, I was not able to dedicate as much time to this pursuit during my first term. Incidents of sexual harassment within the Board highlighted some very concerning holes within this policy that fail to provide appropriate protection to students due to restrictions on policy jurisdiction. We have started conversations with SFU to work on developing an MOU that can address these issues. The the core of the student movement that gave rise to student unions is advocacy. In my opinion, the External Relations portfolio plays one of the most important roles on the Board of directors. My role is to be the society’s liaison and representative at some of the highest levels of government within the province, and within Canada. The ability to have a direct seat and voice at these tables is the greatest value this position provides. 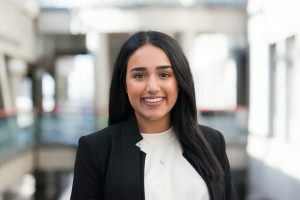 Students have an important role to play in shaping the policies that govern our province and student experience, and the External Relations portfolio [. . .]. Did not respond before the deadline set. The vice-president finance is responsible for the budget of the Board of Directors, which includes all money received or disbursed by the Society. Under this role fall the responsibilities of performing day-to-day work such as payroll approval and bi-weekly reports, as well as annual audits, working with the Finance and Audit Committee, and being a signing officer amid other tasks. How are you qualified to handle the SFSS’s finances? If you were elected to this position, what would be your top priority and why? 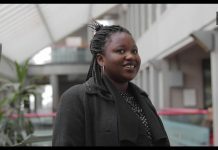 As a Business and Economics student my proclivities are building and managing finances, that is what I have been trained to do for the past 3 years.“Thank you to all my professors for a job well done!” I am pursuing a career in Finance and I am currently a Financial Modeling and Valuation Analyst (FMVA) candidate with the Corporate Finance Institute. This background fortifies my competence to execute the duties of SFSS VP Finance. Encapsulating these attributes are my strong leadership skills that are essential for the VP Finance role in order to ethically and objectively allot funds. What will you do that your predecessor specifically did not do? My predecessor Matthew Chow did an amazing job during his tenure. I specifically admire how thorough and principled he was and I can only build upon the precedents he set. One major difference I will add onto the portfolio is the introduction of participatory budgeting. I wish to promote student empowerment and inclusivity in the use of SFSS finances. Students, independent of their clubs and student unions can participate in building and improving their community through brainstorming, submitting and voting on ideas they wish to see actualized. If you were elected to this position, what would be your top priority and why? If elected, my top priority would be employing a bottleneck analysis of the current cheque requisition process and make necessary changes. The current turnaround time is harming students. It is unacceptable to have students stretching for periods as long as six weeks or more without being reimbursed. Such long wait times are detrimental to student’s personal budgets. Student living costs are so high and cause many students a great deal of stress, it is the SFSS’s mandate to alleviate that financial stress and not add-on [. . .]. The vice-president student life is the SFSS’s main position to deal with student engagement and social events. The position leads the Fall Kickoff Concert, works with the Events Committee, and generally works towards student social events and SFSS branding and these events. 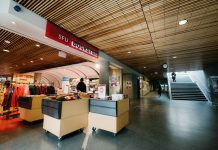 Given that SFU is often seen as a “commuter campus,” how do you plan to enrich the student experience at all of SFU’s campuses? What will be your top priority in this position? In order to build a sense of community, I want to have events frequently visible to students. I want SFSS to empower student groups so that they get more attention. 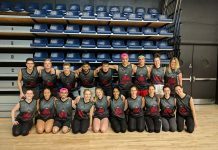 Supporting them includes increasing core funding, promoting their events on SFSS social media, and collaborating with groups on campus so that students have more engagement opportunities. I want to empower clubs, Departmental Student Unions, and non-profit organizations on campus by allowing them more support and autonomy. Make a Promise Tracker readily available on our website. 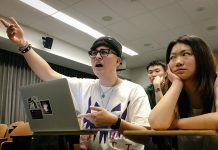 Host a bi-monthly town hall (and Q&A session) of the progress and work of the student government. I want to bring back Fall Kickoff! not only bring it back, but to create a planning committee for next year’s concert to ensure it happens annually. I will enrich the student experience by hosting more quality events. I have created a tentative Events timeline, which can be found here: bit.ly/voteJessN. 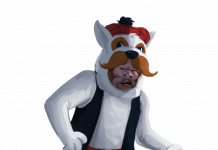 Every month has between 2 to 5 events, with each event with a different goal. Events should be diversified to cover “student life”. Some events need to be Club and DSU focused, others are for the general population to boost morale, and some empower minority groups. All of which I plan to do! Additionally, I will be working diligently with the Surrey and Vancouver committee to ensure that events are hosted on all campuses. The current VP Student Life did not host Fall Kickoff. This event welcomed first years and returning students to campus, and this year felt empty without it. With my project management experience, I am the ideal candidate to bring it back – the only difference is that I will make it the best it’s ever been. I am open to different approaches on how to keep this promise, and have already been working with staff and having conversations with other universities about a real collaboration. Celebrating the new school year with friends to a good headliner is vital for student life! 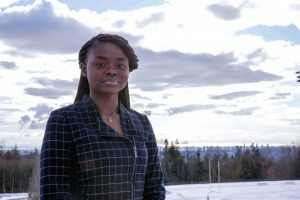 The vice-president student services works on behalf of the Board on services that affect SFU students. Duties that fall under this position include acting as lead on SFSS services such as the U-Pass, overseeing the SFSS Health and Dental Plan, and supporting and communicating the departments which provide these services. This position also assumes responsibilities of the President in case of absence. What is one area in which SFU is lacking in services, and how do you intend to address the issue? What would be your main goal to focus on during your time in this position? Given the recent issues of safety on campus, what would you do to improve these conditions and address students concerns? During the last SFSS board year there was a constant disconnect between students and the SFSS where meeting minutes were not posted on time and students were being kept from receiving information about decisions that were being made on their behalf. 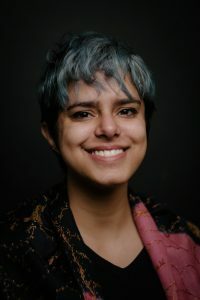 It is necessary that SFU students hold elected representatives accountable for their actions and not have to rely on other external media sources for their information. 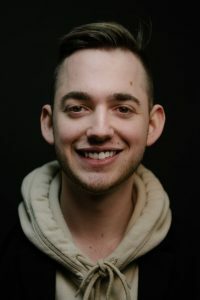 In addition, I would like to build a better relationship with marginalized student groups and prioritize strong communication to all other student groups as well whenever decisions are being made on their behalf. 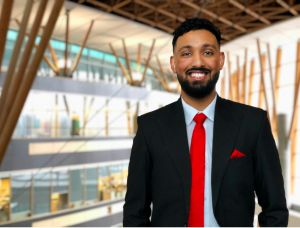 My two main areas of focus are negotiating less costly and higher quality services for students while restructuring and enhancing student engagement among all of the SFU campuses. I will accomplish this by hearing and collecting feedback directly from students on a constant basis to make decisions with the rest of the SFSS board. 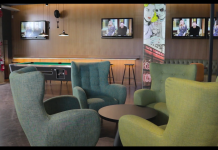 This applies not only to existing SFSS services such as the UPASS and Health and Dental Plan, but upcoming services for students as well such as transitioning into the new student union building. 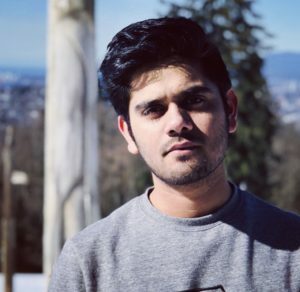 During 2018, SFU students were affected directly by intensely explicit situations which jeopardized their safety and led the university to re-evaluate standards of addressing emergencies on campus. Having stronger policy and enforcement of procedures is essential for circumstances where an SFU student is in an unsafe position or situation. I would make it a priority to obtain student feedback and meet with the SFU administration to develop regulations which best protect our SFU community. SFU currently lacks in mental health services. I plan to continue to work on the Health and Wellness project I have been working on. This project would introduce peer support, and an opportunity for wellness initiatives to be held on a regular basis. 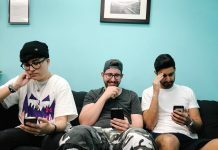 This will help students develop the tools necessary to support a healthy lifestyle, even with their busy schedules, and provide sufficient mental health and wellness literacy to support their friends. My main goal would be to work on a Health and Wellness initiatives. My goal is to not only provide students with a platform to cater to their wellness needs, but to also allow students interested in the field to gain valuable experience and support their fellow peers. I will also be focusing my time on improving resources through the Accessibility Committee. This includes overseeing the hiring of a new accessibility resources staff, and updating policies and important documents into plain language and ensuring all policies reflect the values of the membership. The SFSS has currently been rebuilding its relationship with Safety and Risk Management. They have shown interest in working with us to bridge the gap between the students, and those in charge of our safety, and I will continue to build that relationship. Another important initiative is addressing the jurisdiction issues with GP-44, SFU’s Sexual Violence and Prevention Policy. This is important work that we have started addressing with the current Board, and I hope to carry this project forward with the next. One thing that SFU lacks in, has to be accessibility. For some reason we still do not see grates or any sort of boundary around the AQ pound. As an able-bodied person I never even considered that it might be an issue until I started interacting with the rotunda community. I wish to get a full accessibility audit done for SFSS and then for SFU to figure out exactly what can and should be done in regards to accessibility in order to improve the current situation. Next to the accessibility aspect of my platform, I would focus my time on creating a sexual violence prevention and response policy for the SFSS. Currently SFU has one and I have seen it up close. I want one to be created for the SFSS so students are protected no matter where they are on campus. They deserve protection during our events as well as classes. 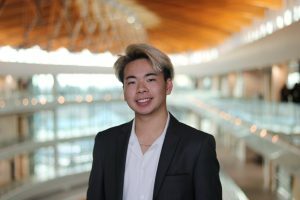 I would also like to work with SFU and SVSPO, so that our new policy would be in continuity with the resources we already have, along with collaborating with various departments. To address these concerns, I would start with a more proactive approach and work closely with safety and risk services. I believe better knowledge of mental health is necessary to accurately respond to crises relating to it. I would also like for there to be better information regarding suicide prevention so the security personnel know how to handle the situation. 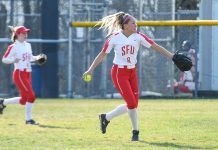 I also want to work with the SVSPO to expand the informative sexual violence prevention workshops they provide athletes, and extend it to all student body. The vice-president university relations works between the Society and university representatives to maintain the connection between the two groups and keep the Board informed on relevant University plans or actions. How will you handle circumstances wherein students and the administration have opposing views or interests? How do you plan to build a strong working relationship with the university administration? The administration is and should be formed in the best interest of students. But if they have opposing views or interests, then I will make sure that the right step is taken to ensure that no student has to suffer because of the administration’s lack of flexibility. I strongly believe that my predecessor has done a great job playing his role as a VP but I’d like to focus more on growth because it has not been the central interest of SFSS so far. Communication is the key. Even a speck of disagreement should be acknowledged whenever felt and worked out immediately. This keeps the workplace in a state of smooth flow. While maintaining positive relationships with the University is important, it’s a secondary goal to representing student interests. I’ve already encountered this situation in my time on board. The strategy applied so far is directly addressing the points of contention, in an assertive but respectful manner. When representing student stances on an issue, however, I don’t have the experience and knowledge of the people who are involved. Therefore, I intend to bring student stakeholders, SFSS or not, into University meetings with me. An example of this would be bringing student athletes to a meeting with the senior director of athletics. I’m limited in what to say because Freedman did a great job at most aspects of the role. One area I would like to expand on, however, is use of the University Advocacy Committee. There were conversations early last year about using it as a way to coordinate student action against the University. This took a back burner to very important issues in the year. I want to revive it and use it to organize student advocacy, by having board members, senators, and grassroots student movements all meet together to plan strategies for working with the University. I would describe the ideal relationship with University admin as defined by healthy tension. The aims of administration can often be contradictory to student interests. Therefore the relationship must be carefully managed to balance working with the University, and speaking out for students. I will work closely with any administrators who display genuine interest towards student concerns. An example of this is my work with Safety and Risk services. After a couple critical incidents in the Fall, they began working extensively with student leaders to improve the department. Something I will continue to aid them in if elected. As the student representative, my main priority is the students’ best interests. 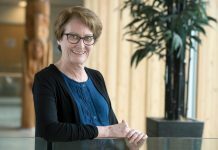 Through my involvement during my SFU career, I have met with a lot of good people within the university’s administration who share my values and wishes of ensuring the well-being of students. If there is a conflict of interest, I will work with the student body to gather feedback in a formal and informal setting to advocate effectively on behalf of my constituency. 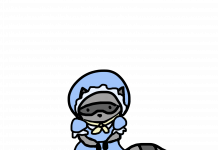 I’m not sure what my predecessor worked on and that’s something I would like to change, taking a step forward instead of remaining backstage. The role responsibility is significant, and students should be made aware of the decisions the university is making. One way to establish that is by hiring a new staff member working in the new Student Advocacy Office; a dedicated full-time staff member to support in a University and Academic Affairs Committee. 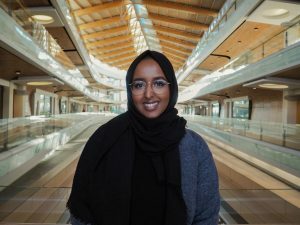 The committee would be comprised of students interested in SFU advocacy campaigns, the new hire is there to fill in learning gaps regarding the university. I joined the Student Experience Initiative team in summer 2018, and was thrilled to learn and work on their plans to improve the student experience. I believe in using this initiative to create collaboration with SFU, and to empower students to seek out opportunities in addition to academics. Moreover, I will utilize this platform to communicate the students’ views with the university, as I personally believe that the student voices need to be heard. With our aligned goals of improving experience and student empowerment, I trust that SFU will want to grow my strong working relationship with the administration. Note: The Peak would like to acknowledge that we made a mistake in the print edition of this week’s newspaper in stating that Shina Kaur did not respond in time for the print deadline. Kaur did submit her responses on time. The at-large representative position-holders have flexibility in determining which of the Society’s projects they are interested in and would like to join. They support executive directors, hold events, and launch campaigns. Two students are elected to these positions each year. Why do you want to be a part of the SFSS? What do you think you can contribute with the Board? Which of the SFSS’s initiatives and projects interest you the most and why? The SFSS plays an integral part in creating a connected campus community and is a platform for changes in regards to student issues. I am the ideal candidate for the SFSS because of my past experiences. I have worked on the Events Committee and this has allowed me to learn how the SFSS operates and what events are needed to improve SFU. Furthermore, through my experience with Active Bystander Network and Sexual Violence Support & Prevention Office, I have seen the importance and want to advocate for sexual violence awareness, and better lighting and clearer pathways at SFU. 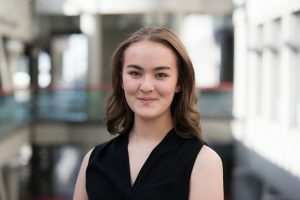 I spent the last year working on the Events Committee and this has allowed me to understand what students need in terms of engagement and what events help build SFU’s community. I have planned and executed numerous events including Spooky Pumpkin Carving, Christmas Carnival, and Women Crush Wednesday in honour of International Women’s Month. I have acquired the skills that are necessary to build engagement at SFU. Students always call SFU a “commuter school” and that is lacks community. I will use the skills acquired from past events to improve the social culture at SFU. Fall Kickoff! I remember this event being the highlight of my first year at SFU (2017) and it has definitely been one of my favourite events that I have ever attended. 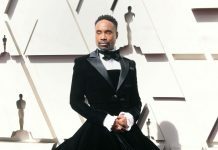 This year, this event was not hosted and the year did not feel right. I have heard many first years complain about not having the opportunity to attend this event during the first year and I hope make sure that this does not happen again. I will work with the VP Student Life to make sure this event takes place and it is better than ever. 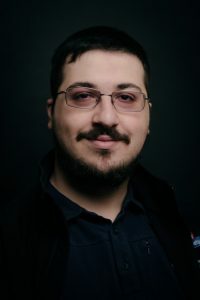 It is my aim to foster a more connected university experience. As your SFSS At-Large Representative, I will advocate for more support and resources to Department/Faculty Student Unions and clubs, including increased funding to all student groups. I also want to raise awareness about the various mental health resources on campus and reduce the stigma around using them. 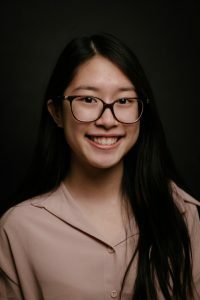 As a member of the SFSS Board of Directors, I will be given opportunities to more effectively support mental health initiatives on campus and also expand mental health resources within the model of a Health and Wellness initiative. I have experience in event planning, leadership, and working with volunteers, as well as a genuine passion for fostering student engagement. During my time at SFU, I have endeavored to become more personally engaged with the SFU community. 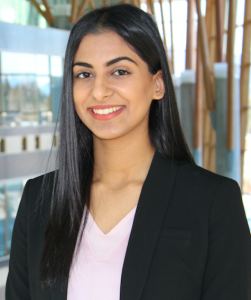 I have taken on executive roles in two groups: Chair for the Hi-FIVE Movement for Mental Health, and Committee Facilitator of the SFU Red Cross Club. I am also a Student At-large of the SFSS Events Committee. These roles have allowed me to connect with and learn from successfully operating boards, as well as take the lead on numerous projects and activities. I intend to contribute to the success of semesterly “Welcome Back” initiatives. The purpose of these events is to increase engagement with the student population. It is my hope that through the successful running of welcome back pub nights, pancake breakfasts, etc. students become more engaged with the SFSS. I am also eager to work closely with the MySSP Advisory Committee to increase awareness of this incredible mental health resource. This SFSS Health and Counselling initiative ensures the student population has access to confidential support for a wide range of concerns. As a first year student in FIC, I noticed that there were some changes that needed to be made around school. I was such a disengaged student, and even with the amount of events that happened around Campus, I still did not feel connected with other students. Textbooks were expensive to purchase, and I didn’t understand why, I just expected that because we paid so much money for tuition, the textbooks will be sold at subsidized rates to us. Fast forward two years in SFU, these are still the same issues that are prevalent for most students. A) Free SFU x SFSS hoodies for all new students, to welcome them to the Simon Fraser community, and educate them about the SFSS, while they’re still new. B) Subsidized SFU hoodies on certain days for all SFU students. This increases a culture of togetherness, if we can be seen moving around Vancouver with our school hoodie. C) Textbooks being sold at subsidized rates and Tuition Freeze. Eliminating interest rates was a good campaign and it was successful. At the same time, I think we should do more, and focus on alleviating students up-front cost in the midst of the affordability crisis. Faculty representatives are the link between the Board and their faculties, including the Departmental Student Unions (DSUs). The specific duties a representatives taken on depends on their interests. What is the biggest issue that your faculty needs addressed? What kind of relationship do you have with the DSUs in your department, and how do you plan to develop that relationship? “The SFSS is kind of a hot mess.” While most people in Applied Sciences see it as cancer to be avoided at all costs, and some have asked me to burn it down, I see an opportunity to fix a dysfunctional student society. Improving systems is kind of part-and-parcel with being interested in CS; and the SFSS is a system that needs fixing. I was shocked at how bad things were when I first transferred in and If I’m going to have complaints about something, I’m the type of person who’s also going to seek out a solution. Each school has their own biggest issues. In a way, the biggest issue is the SFSS. Independence is the common thread between the schools and the common feeling the people active within the the student unions have is that the SFSS exists just to get in our way. 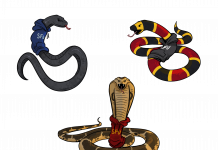 Some students even believe that our student societies aren’t actually connected to the SFSS, so why should we have to listen to them, y’know? FAS doesn’t need to like the SFSS, but if the SFSS can get itself together, maybe it can get out of our way. Within CSSS I’m well known. I attend our meetings and frequent our common room. I’ve spoken to the presidents of CSSS and ESSS and asked them what they would like to see in a FAS Rep and attended an ESSS meeting. The President of WICS is also our Council representative and I sat in for her the other week. I’m hoping to reach out to WiE this week. For MSESS and SSSS I know this: They know what they need better than I do. I intend to develop these relationships by doing what every representative should do: Listen. I’ve spent a long time at this school meeting friends and growing my connections, and I’d like to use what I’ve learned to make the school a better place for all who go here. I care about this school and want to see more student engagement not just within the Faculty of Applied Science but within the school as a whole. 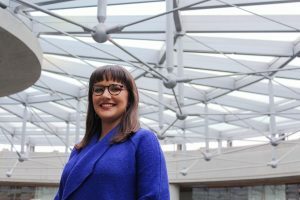 With an entirely new department starting in the fall, FAS is the fastest growing faculty at SFU and with that tend to come problems of representation for every individual in the faculty. The more spread out applied science becomes, the stronger of a FAS Rep is needed to work as the link between the DSUs and the SFSS. The DSUs already do a great job of running events but need this trusted link to help them realize the support offered to them and help them live up to their potential. 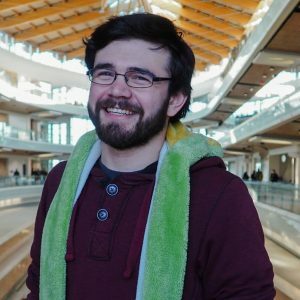 I often attend CSSS meetings and have done volunteering for Engineering Frosh, I have connections in almost every DSU. As FAS Rep I would like to develop these relationships by attending as many of the DSU, as well as WiCS and WIE, meetings as possible and by volunteering at and attending more events. All of this is so I can build myself as that strong link needed between FAS and the SFSS. 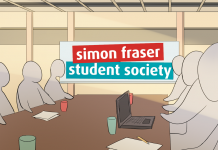 I would like to be a part of the Simon Fraser Student Society and bring forth the concerns of the SFU students. This opportunity will allow me to enhance the student life and create a welcoming atmosphere, where students can communicate with faculty representatives. I will act as the liaison between the Arts and Social Sciences students and the board. SFSS provides representatives of all faculties to become involved and advocate for events, which unites students from various faculties. I have always been passionate about connecting students and hosting occasions, which allow the students to develop their social connections. Several faculties are facing difficulty trying to get first year students involved in events and clubs. 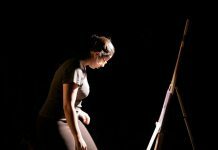 Being a first-year student, I have noticed it is tough to get involved due to the size of the Arts and Social Sciences faculty; it can be overwhelming and confusing. Students are not given enough information regarding events; therefore, they miss out essential social experiences and being able to speak to the members of the board. Increasing the communication amongst the clubs and students will result in a greater engagement of first year students and will allow the faculty to understand their concerns. 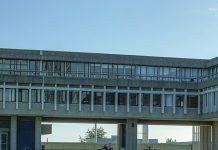 Being a first-year Surrey campus student, it is difficult to get involved in DSU’s because they are mainly focused on the Burnaby campus. Many satellite campus students face hardships when getting involved with clubs and student unions. If elected my goal is to join the events committee and advocate for student wide events. Currently, I am a part of the Punjabi Student Association, which includes students from a large range of faculties. This club allows me to communicate with FASS students and give consideration to their concerns, in regard to the issues they have faced or are facing. I started going to the SFSS Board of Directors meetings in December. It was intimidating at first. I didn’t know how meetings worked or who to ask when I had questions about my faculty. That’s part of the problem—when students want change at SFU, they don’t know who to approach. I want to actively listen to students and have them reach out to someone they’re comfortable with. I don’t want students to be intimidated into silence or apathy. I want to be a part of an SFSS that students feel comfortable voicing their concerns to. Getting student engagement is hard. I remember talking to my mentees at Welcome Day and emailing them about upcoming events. Sometimes their schedules didn’t work, or they couldn’t afford to go. I’ve asked students what they want in our faculty. 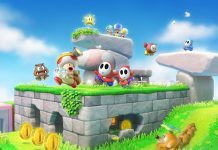 They had amazing ideas, from planning formal events to having a Super Smash Bros competition. This is the community I want to foster in my faculty. I encourage everyone to reach out to me with ideas, to support each other, and above all, to be passionate and enthusiastic about how we can improve not only ourselves, but also our school. Last year, I attended a DSU-collaborative event, FASS on a Boat. This year, I am organizing the same event with the Society of Arts and Social Sciences. 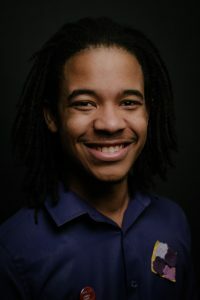 Although my role is titled Vice President Administration, my tasks are all-encompassing—from communicating with different DSU representatives to contacting sponsors, I’ve had the chance to work with many different people in my faculty. I’m an active member of the Psychology Student Union, and I make sure to go to and/or promote other DSUs’ events. By fostering relationships with friends in other DSUs, I ensure that I am aware of many faculty events. At this moment, there is a large disconnect between the actual students and the SFSS. 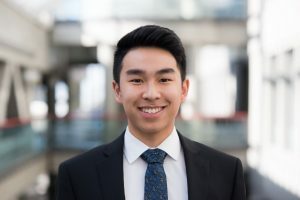 Being Business Representative for the SFSS would allow me to internally address all the issues raised between the students and clubs by clearly communicating information from club to SFSS. In my opinion, all the amazing business clubs are what makes Beedie so astounding, I want to make sure the SFSS is a union that clubs can genuinely rely on. 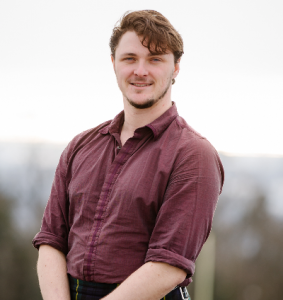 The issue that Beedie needs to address is the lack of involvement from transfer students and first years. Beedie is a school that prides itself on it’s student-run clubs, such that these club experiences are fundamental to a student’s growth. 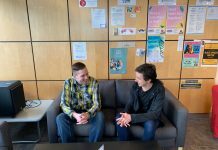 Transfer students and students who miss their first opportunity to join clubs may find it increasingly difficult to become involved as semesters go by, and will ultimately view SFU as a “commuter school”. With more events that give opportunities to these students, they’ll be able to gain all the valuable skills and memories that they would have otherwise missed. I plan on building a strong relationship between myself and BASS. BASS is so crucially important as they lay the foundation for incoming first-years starting their university life and being able to fully support them is one of my biggest priorities. Regular meetings with the BASS organizing committee will allow for more distinct communication, and with constant communication between us I’ll be able to more fully support them and give them the resources they need to succeed and grow. 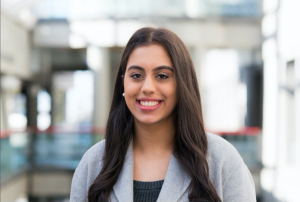 I want to be a part of the SFSS to work alongside other faculty representatives and executives to improve the student experience here at SFU. As the Business rep, I want to provide resources and support to students and clubs to enhance engagement within the Beedie community. I will be extremely proud to represent the Business faculty on behalf of the SFSS. I believe my reliability, experience, and drive will be a strong asset to the team. The biggest issue in the Business faculty is the lack of awareness of what SFSS provides students. My solution is to foster awareness through communicating with Business clubs and students to convey the benefits of being supported by the SFSS as well as where their fees are being spent. I will create two-way communication through Beedie club President meetings and hosting weekly office hours dedicated to Business students. This will also provide students with a larger platform to voice their opinions to myself as well as the rest of the board. 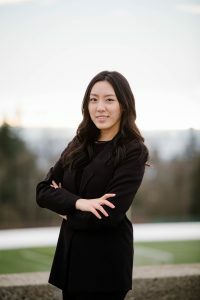 Having been involved in the Beedie community since coming to SFU, I have made lasting connections that include members of the Business Administration Student Society. A big shout out to the President of BASS, Raven, who has been so supportive of my campaign. I plan to meet the rest of the BASS team by sitting in on their meetings and attending as many events as possible. Developing a strong relationship with them is quite important as they influence over 4000 Business students at SFU. Also developing relationships with students who attend BASS’s event will be just as rewarding. 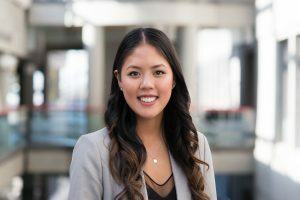 As IABC’s Student Engagement Portfolio Manager, I noticed the academic experience at SFU lacked depth with limited career development opportunities. With FCAT students, the three separate campuses in which our faculty is separated upon make this a worthwhile opportunity for SFSS to increase FCAT student-oriented professional development while increasing interactivity between departments to unify the faculty. The communication curriculum highlights opportunities in academia, as course material often focused on theoretical content which has led me pursue a joint Data Science Major to fill the skill gap. 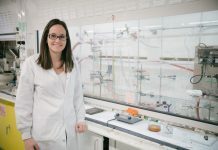 University experience includes making important connections and gaining necessary professional capabilities, alongside our studies. The lack of interactivity between departments due to the three separate campuses and lack of professional development opportunities our faculty offers need to be addressed. Though programs such as Co-op are available, our faculty encompasses many different career trajectories and the sharing of that passion would help students better understand available career paths and the various professional skills required, specific to FCAT. Our studies are very important, however, ensuring the professional success of students after university is just as important. A strong and supportive relationship with the DSUs benefits FCAT students in ensuring their academic and professional development requirements are fulfilled. I have attended numerous CMNSU events as a CMNS student as they have made great efforts to help Communication students meet those skill gaps that are presented by theory-focused classes. However, FCAT requires further support from SFSS to ensure all departments are filling those voids and increasing exposure to the various departments to ensure a well-rounded understanding of what it can mean to be an FCAT student. Being too busy commuting back and forth between campuses I really haven’t had the opportunity to engage with FCAT DSUs. Knowing now the dedication they put into hosting amazing events for students, I decided to get involved with the SFSS because I see the potential in strong collaborations between SFSS and FCAT students. As the FCAT rep, I could work with the SFSS board to make changes that will drastically increase the impact of my DSUs. The most common theme being brought up by FCAT students are a lack of engaging events and low attendances at events that do take place. I’d like to advocate support from SFSS to help put on more events as well as increasing overall influence among the student body. I will push for an increase in core funding for FCAT and all other student unions and clubs that make amazing strides towards student engagement. On top of that, I will work to develop a fund dedicated to these student groups who consistently hosts high-cost events in the interest of students. I see myself working closely with the FCAT student unions to develop a strong relationship between DSUs and SFSS. I am currently in the process of meeting with all of the student unions in my faculty to begin getting to know them. Understanding that engagement can be difficult at times, I will make sure that I reach out and provide these unions with the most accessible opportunities to express their thoughts. My extensive involvement within the Faculty of Education, particularly the Education Student Association, has led me to believe that students can have a significant impact on the academic and social aspects of university life. My desire is to transfer the knowledge I have acquired through my experiences to reach the broader student population to improve the undergraduate experience. With help from the SFSS, I want to provide more opportunities to encourage student involvement through events and projects that educate the general audience about the SFSS while fostering social and academic well-being. 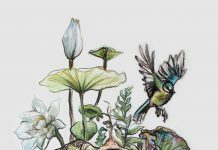 Within the Faculty of Education, only Education students receive emails regarding resources, opportunities, and news about the Professional Development Program (PDP). 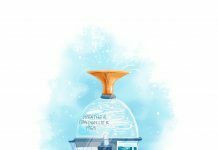 However, these notifications are extremely important for all individuals who aspire to be teachers; this extends to students majoring or minoring in different faculties. In the past, modifications to the structure and admission requirements of PDP have not been properly communicated to prospective teachers outside of the Faculty, which is a serious concern. To eliminate this issue, I intend to implement an accessible social media platform to assemble these individuals and allow for the easy exchange of information. 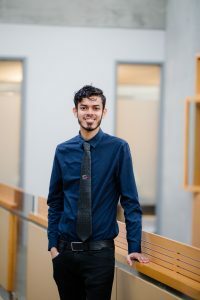 Since the beginning of my first year at SFU, I have been an active member of the Education Student Association, of which I am currently the President of. 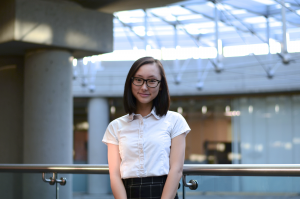 As SFSS Education Representative, I will continue to participate in event planning and promotion in order to expand and strengthen the Education and SFU community. Furthermore, I plan to support and work closely with the succeeding President; this includes attending semesterly meetings with the Dean of Education together to voice student needs and issues. 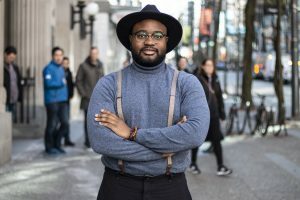 I’m getting involved in student governance because the current inactive interaction of SFU students is damning to the credibility of the SFSS. 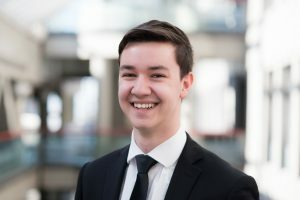 I’m looking to provide the students in the Faculty of Environment with a proper representative that actively engages with them by showing up to DSU and environmentally-based student group meetings, giving written and spoken summaries of board meetings, as well as listening to what support they need from myself. The SFSS needs desperately a representative that has the time to be active in the lives of FEnv students, not just Board duties, and I will be that representative. FEnv is still in its early stages of growing, so our faculty needs more engagement with students on what our faculty offers. Continuing Career nights that are already offered are great, but we should also be advertising to students the re-imbursement of around $100 per student per year for students to go on conferences. On top of that, our social media game has to be on point: our environmental student groups have many educational and social events planned throughout the year that always foster a welcoming atmosphere, and documenting these is a great way to spread what we are about. I have a pretty good relationship with BESU and EVSCSU, participating in their events by making pizza, attending meetings, and working on engaging environment students online. Looking forward to also getting involved with Geography and Archaeology SUs, planning on going on the Geography trip to Victoria in April. As mentioned in question 1, I plan to attend a majority of all DSU weekly meetings and events. On days I am not able to attend meetings, there will be a trusted proxy within the faculty that will fill my place, and summarize board meetings and record all questions asked towards me. gets a strong voice at the table. I want to be the voice that represents the values of our faculty, particularly sustainability. The biggest issue that the Faculty of Environment needs addressed is event planning. I want to support the Faculty in planning Frosh for the incoming first year students. Frosh is an important event for incoming students as it connects them to others in the faculty. Incoming first year students who connect with others in the faculty especially frosh leaders and volunteers can foster a desire in getting involved within the faculty in the future. I plan on having a close relationship with DSU’s through biweekly meetings to ensure that all departments are heard and can collaborate in improving the whole faculty together. Over the last few months I have developed a close relationship with the current faculty of environment representative Russell. Russell has been mentoring me and taught me what exactly the position entails and responsibilities of the environment representative. Board members act as the liaison between the students in the Health Sciences faculty and the SFSS. I plan to enhance student life on all campuses by working with the Health Sciences Undergraduate Student Union to host diverse events, improve the well-being of students by working with Health and Counselling Services, and increase financial support for students by advocating for needs-based grants and events such as the Angel tree project to provide for those in need. I will bring forth new ideas and allow students to feel that they are getting the most out of their educational journey. The Health Sciences Faculty has already done a substantial job in engaging students and building connections. Students in Health Sciences often appreciate the interdisciplinary nature of the faculty. If I were to make one adjustment, it would be to unite students from all campuses. I have encountered a significant number of Health Sciences students in Surrey who are unaware of HSUSU. 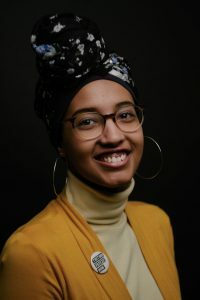 I plan on making connections with HSUSU, clubs, and other organizations in the Health Sciences Faculty, allowing students to explore their interests and be aware of different opportunities that are offered. The Faculty of Health Sciences does not have any DSUs; it only consists of a FSU, since it’s a smaller faculty. HSUSU, which is the FSU of the Health Science Faculty, is primarily located on the Burnaby campus, which made it difficult for me to get involved. However, I connected with the current Health Sciences Representative, to stay updated with the faculty. 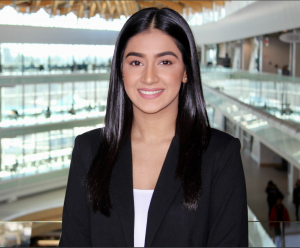 I also had an interest in joining the Surrey Campus Committee, but since this committee wasn’t quite active this year, I plan on revitalizing this committee to benefit Health Science students, as well as students from other faculties. Like many students, I spent my first years at SFU knowing little about who the SFSS were. After taking some time to learn more about what the SFSS should be for students, I realized how much we are missing out on! 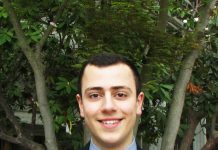 I want to become an advocating voice for Health Science students, and work to build upon services the SFSS provides. I intend to reach out to students to provide them with information about the SFSS, and actually consult students when making decisions that affect them. If students want change within the organizations representing us, we deserve to see it! A major issue I have noticed after talking to some of my fellow students is a lot of confusion around the job options for Health Science students upon graduation. Not everyone wants to go to medical school necessarily- and we deserve to have options available to us! To address this, I would support the Health Science Undergraduate Student Union (HSUSU) in hosting Career Panels as they have done in the past, and also create events where students can find more volunteering and skill building opportunities as well! I have attended events hosted by my DSU in the past, and I have a lot of appreciation for the services they provide to us! I intend to strengthen my relationship with the HSUSU by meeting with them regularly and working on developing solutions to the concerns faced by Health Sciences students. I would also support the HSUSU in hosting events for students throughout the year. As I have increased my student union presence (see q3), I have found that I genuinely enjoy governance, and adjusting procedures to increase efficiency. Through getting to know so many colleagues in science, many of whom have become friends, several important issues have come out of our conversations (platform: bit.ly/voteJason), and I believe I am in a position, with my experience and love of our faculty, to make those needed adjustments. I am committed to improving the social life and academic access for science students, and restoring trust in the SFSS that it can effectively support students. Earlier this year, I was convinced that the biggest issue for science students was a lack of connectivity between science departments. It’s still a large issue, and I plan to streamline the entire disbursement of information so more students can get involved in meetings and events. This year, though, with construction increasing around science classrooms, and more unpredictable weather stranding students in transit, I expect classroom disruptions will be the biggest issue for science students in the 2019-2020 year. 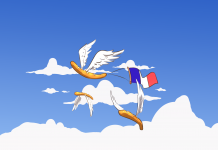 I will work with SFU officials, and get involved with gondola advocacy to guard classes against disruption, especially unexpected disruptions. 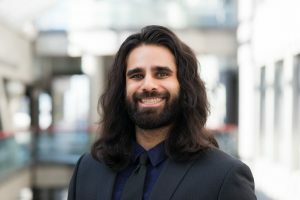 Since arriving at SFU, I have been involved with science student governance; early on, the Biology Student Union elected me as treasurer and more recently as president, where we hosted social events and maintained academic resources for students. I met colleagues in the Physics and Chemistry departments and learned from initiatives like MBB’s study sessions. As the current VP Finance of the Science Undergraduate Society, I have had the opportunity to meet students across even more departments, to understand the breadth of science needs. I will continue and increase my involvement in DSU meetings, and host all-dsu exec meetings. Student governance allows students to advocate for themselves within a large academic institution. 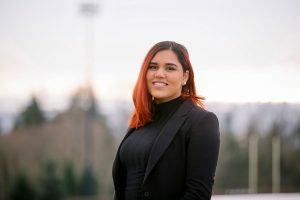 As an Indigenous woman in STEM, I have faced particular challenges within the sciences that I can directly tackle with the resources made available to an SFSS representative. Community governance is an integral component of Indigenous ways of life; this is something I was privileged to be able to witness growing up in Tŝilhqot’in (Chilcotin) and T’exelcemc (Williams Lake Band people) territory. I understand the importance of consulting with the people you represent to create a better environment for the whole community. Comprehensive mental health for science students is lacking within SFU. 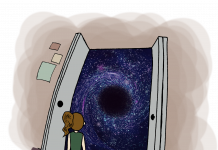 Science students often feel isolated and overwhelmed by their degrees and courses. We have specific pressures related to our course loads and fields of study that are not currently addressed by the Health and Counselling Services. 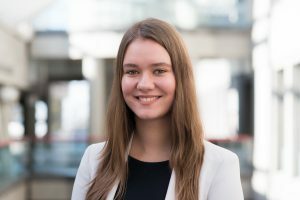 I will initiate a process of surveying students in science courses to see what kinds of additional mental health support they feel is lacking at SFU which would be beneficial to them. This survey would then serve as a report to the university and HCS to launch new mental health protocols for science students. I have served on the SFSS Student Council since 2018 where many DSU heads raise issues that students notice within their respective departments. With many of the science DSU heads in Council, I have developed good working relationships for the purpose of creating a better academic, social, and emotional environment for students. I will continue this work I have already begun with science DSUs when elected to the SFSS. 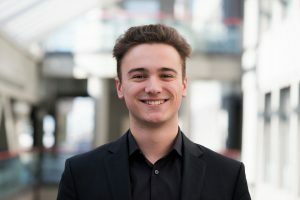 I want to be a part of the Simon Fraser Student Society because it provides me with an exceptional opportunity to enhance the academic and social environment at SFU. I feel that it is necessary to break the barrier between the board members and the student body by eliminating any hesitation. By increasing science-related research, career, and volunteer opportunities, it will provide students with a basic foundation in their faculty, which will construct a strong academic atmosphere. Moreover, being a part of SFSS will enable to me to build a strong social experience for SFU students through events and activities. The biggest issue the Faculty of Sciences needs to address is the unity of the faculty as a whole. Over the last term, significant emphasis has been put on DSU’s, however, there hasn’t been enough focus on students outside of these programs. I would like all students from all campuses to be presented with science related opportunities, enhancing their career pathways. Additionally, due to a majority of DSU’s and FSU’s being concentrated on the Burnaby campus, our satellite campuses are often left disengaged from the SFSS. It is essential to take into account the student body at large. Considering most of my classes are Surrey based, I haven’t been exposed to many opportunities in regards to DSU’s since most meetings are held at the Burnaby campus. However, being a first-year students gives me time to explore my options and I have looked into many DSU’s that I will definitely be a part of. Some of the DSU’s that I will connect with include Biology Student Union (BSU), Chemistry Student Society (CSS) and Math Student Union (MSU). A club that I am currently a part of is the Punjabi Student Association.